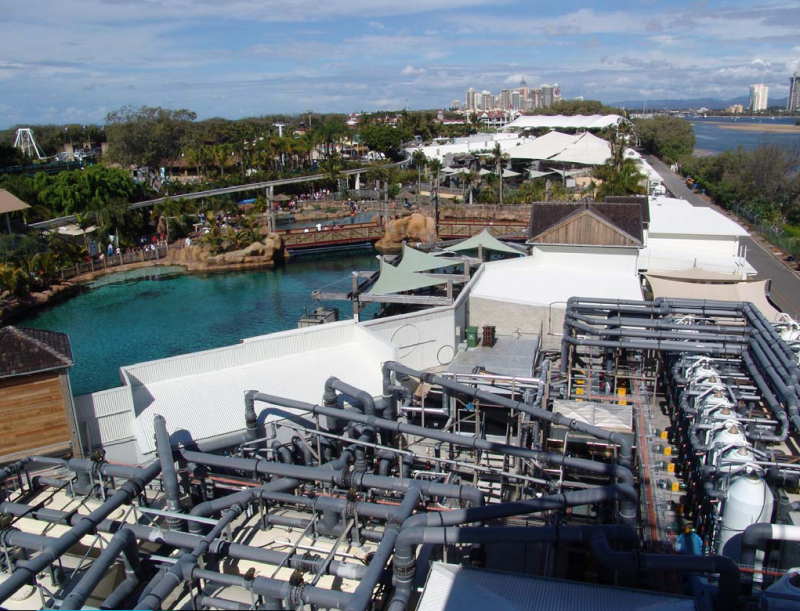 Shark Bay is the latest and the largest marine exhibit constructed at Sea World on the Gold Coast and is the largest aquarium in Australia. It features an open lagoon style large shark aquarium divided by an acrylic wall from a large coral reef aquarium. 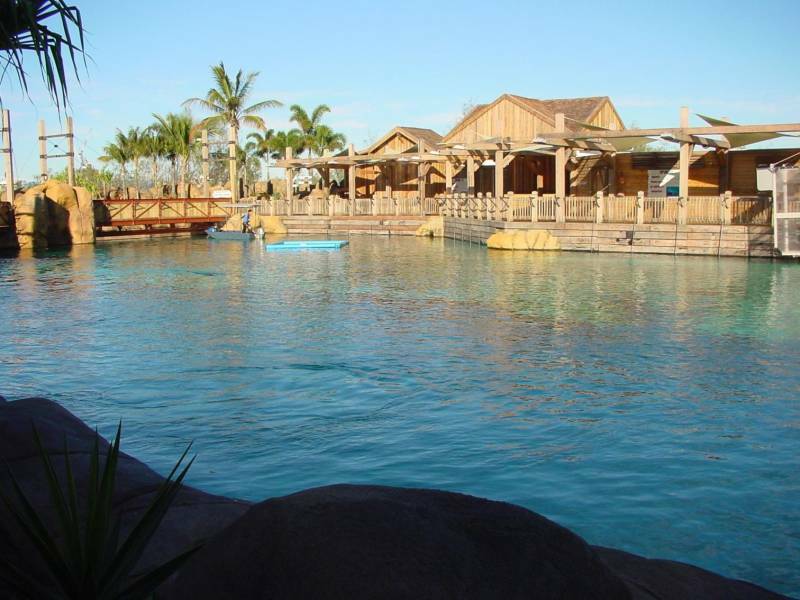 It is designed as a swim with the fish interactive exhibit for visitors to Sea World. 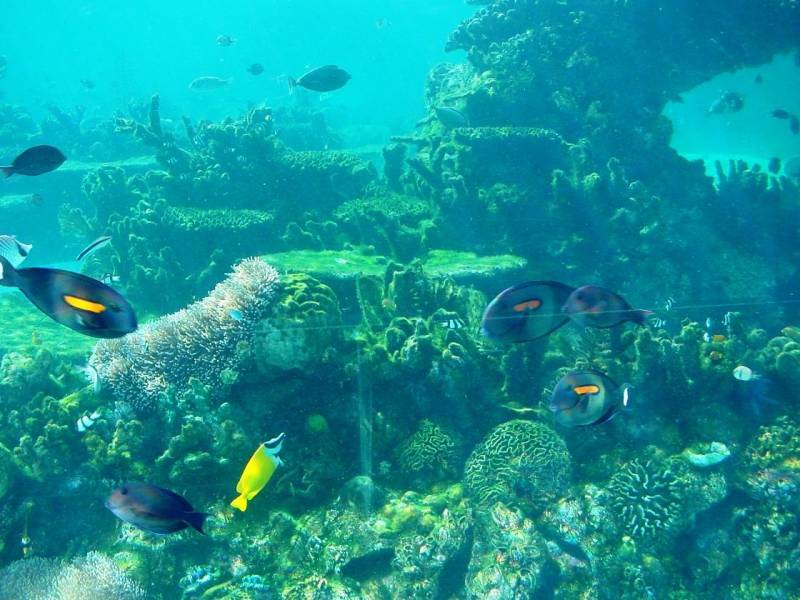 It consists of a 1.5 million litre reef tank and a 5.0 million litre shark tank. 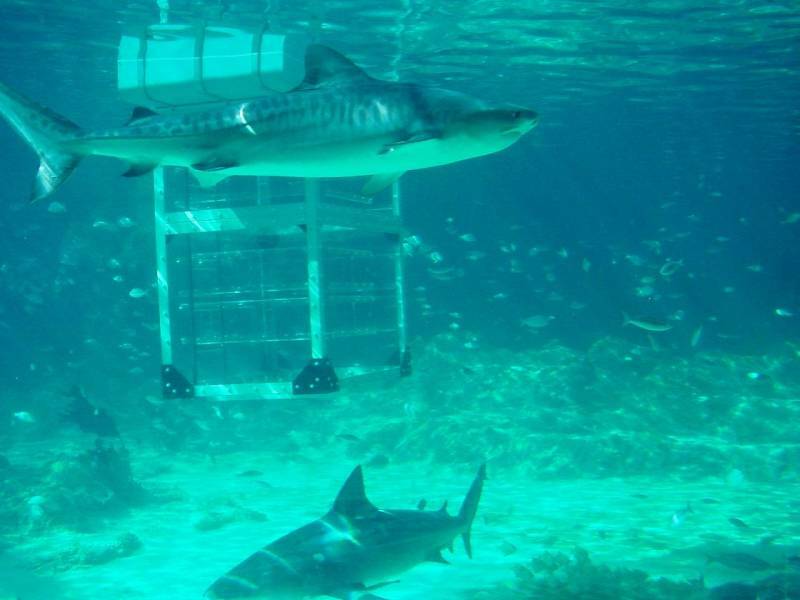 The shark aquarium is unique in that it is the only aquarium to successfully keep Tiger Sharks in excess of 4 metres in length. Since opening over 20 million people have visited this attraction and tropical fish and corals are successfully breeding in the aquarium. 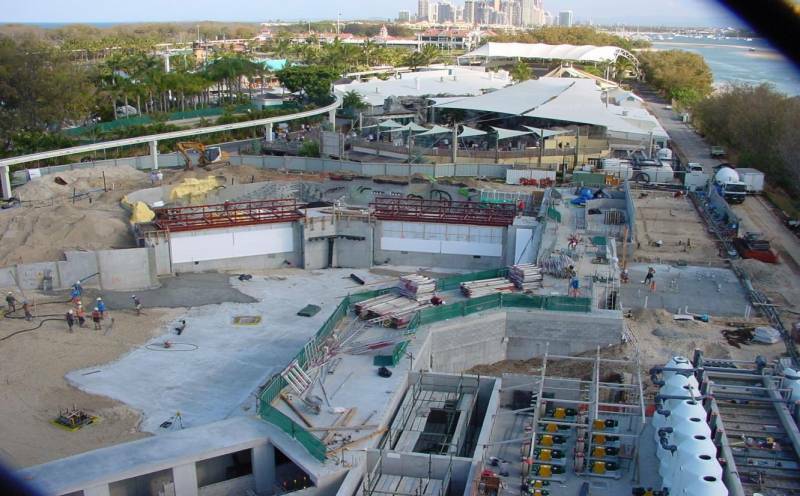 AES was commissioned by Warner Village Roadshow to advise regarding all aspects of the aquarium design and ASW. AES was contracted to design, supply, install and commission the LSS and give advice and guidance to other contractors for acrylic and artificial environment. The LSS design was undertaken in association with Advanced Technology Treatments – Phil Barlow.